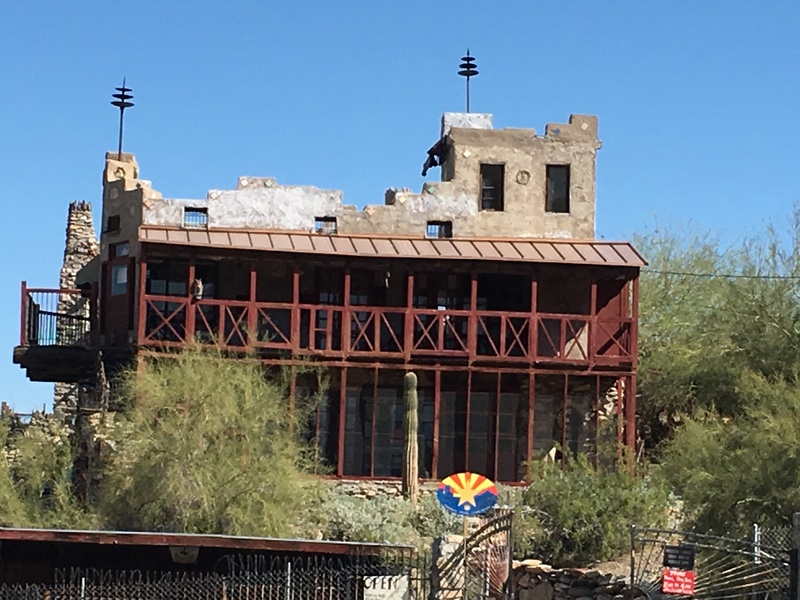 A Man’s Home is His Castle….Mystery Castle that is. There is a an old saying….”a man’s home is his castle”…meaning it’s a place of refuge, a place where he can do anything he wants. And that is what Boyce Luther Gulley did. 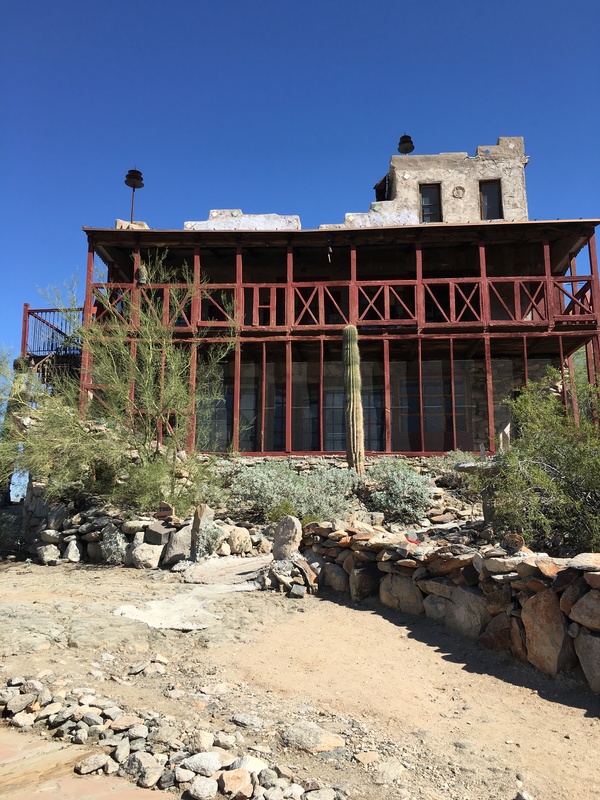 Over a 15 year period from 1930 until his death in 1945, he built a “castle”….adding to it piece by piece with whatever he could find…old bottles, tiles, railroad tracks, telephone poles, pieces of adobe, automobile parts and too many more items to mention…and all was cemented together with a mortar & cement made with among other things, goat’s milk. So here it is March already and I have broken my New Year’s resolutions many times over. I didn’t actually write it down….but it was in my head. My resolution? Write on my blog more consistently….have a plan….like once a week. Well, well that didn’t materialize, so I changed it again in my head. In February it was “write one post a month.” Surely I could manage to get out 12 posts in a year. Evidently not. Maybe if I had actually written it down, gotten it out of my brain and onto a piece of paper, I might have had a better chance. But life is all about second chances and “do-overs”, so I’m trying again.